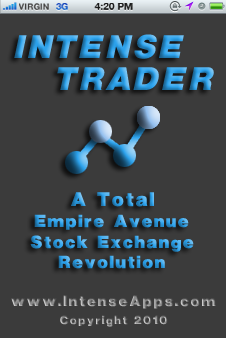 Below are just a few of the many features incorporated into the initial release of Intense Trader. Many more features are in development. Intense Apps expects to provide frequent updates to it’s user base. 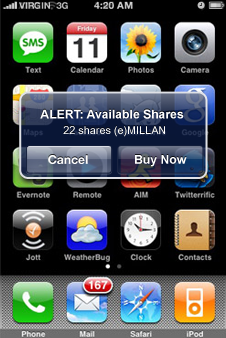 · Portfolio Management Gestures: Swipe to buy, Shake to sell. 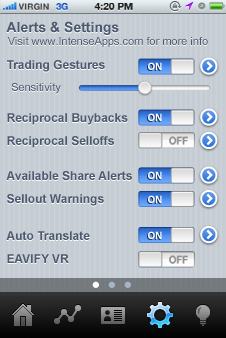 · Analysis of share performance, set automatic buys and sells. · Integrated “Shout” client with language translation. · PayPal integration: Calculate Eaves in various currencies. 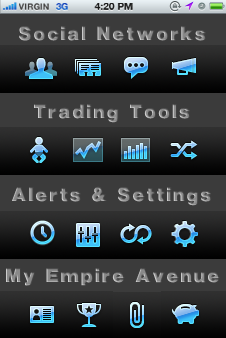 · In depth profiles of the Empire Avenue E-Class Stocks.